// create a regular DataTable – but could also be derived from a SQL Database! 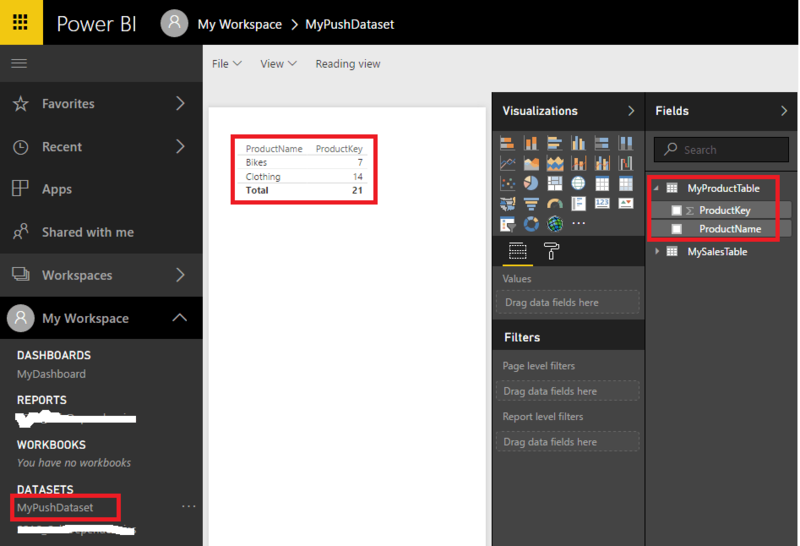 I recommend to explore the API on your own by simply building your first PowerBI Push/Streaming Model on your own! For the latest features and improvements please refer to the GitHub repository which will be updated frequently. Any feedback and participation in the further development is highly appreciated and will be done via the GitHub repository.